Diplomat at Iran's embassy in Vienna one of 4 arrested for involvement in plot to bomb rally of thousands of Iranian dissidents in Paris. An Iranian diplomat was one of four people arrested in an alleged plot to bomb a rally of Iranian dissidents. Two suspects were arrested in Belgium over the weekend carrying 500 grams of triacetone triperoxide (TATP), an explosive chemical used in suicide bombs and improvised explosive devices. Police also found a detonator in the suspects' car. The suspects were identified as Amir S., 38 and Nasimeh N., 33. They were charged with attempted terrorist murder and preparation of a terrorist act, according to Belgian prosecutors and intelligence services. 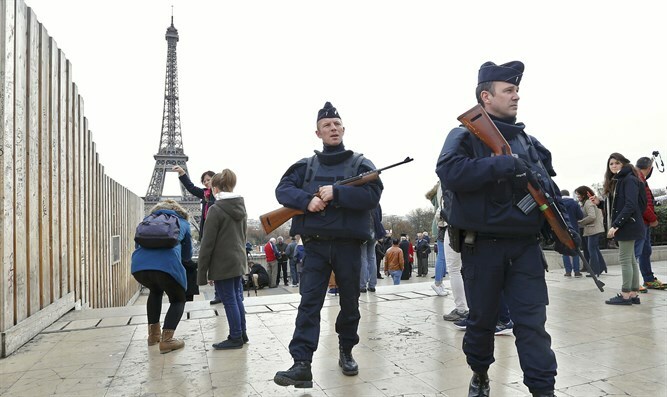 Another suspect was arrested in France. An official at the Iranian embassy in Vienna, Austria was arrested in Germany for alleged involvement in the bombing plot. The suspects targeted a rally of the National Council of Resistance of Iran (NCRI) in Paris Saturday. The rally, which drew thousands of people was attended by US President Donald Trump's lawyer, Rudy Giuliani. NCRI spokesman Sharon Gobad said: "A plot by the religious dictatorship ruling Iran to carry out a terrorist attack against the grand gathering of the Iranian Resistance in Villepinte was foiled." “The clerical regime’s terrorists in Belgium, with the assistance of the regime’s diplomats, had plotted this attack. A man and woman who were implicated in the plot were arrested by the Belgian authorities. "The woman had come to Belgium from Iran in 2009. A diplomat of the Iranian regime who was implicated was also arrested in Germany. “The Iranian Resistance has warned time and again against terror plots and preparations by so-called “diplomats” of the Iranian regime and by the agents of the Ministry of Intelligence and the IRGC Qods Force in various European countries.